'New Yorker' Editor Angell Chronicles a Writing Life Memories, and how to capture them, are a tricky proposition, says The New Yorker's Roger Angell. He talks about the art of writing, what he learned from his stepfather, E.B. 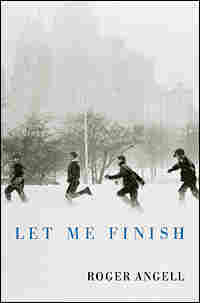 White, and his new memoir, Let Me Finish. For writer and editor Roger Angell, the venerable New Yorker is something like a second home. His first story was published in the magazine in 1944, and he became an editor in 1956. He followed in the footsteps of his mother, Katherine White, who was a fiction editor there, and his stepfather, E.B. White, who also wrote for the magazine. Although his first stories were fiction, Angell is perhaps best known for his many insightful stories about baseball. 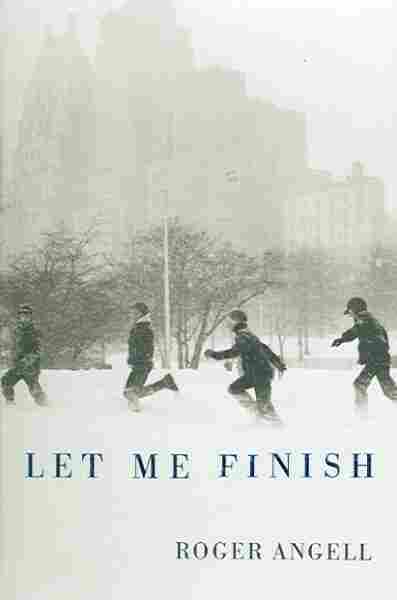 Angell, 85, has just published a memoir, Let Me Finish. He discusses what he learned from E.B. White, the art of capturing stories on the page, and how memories seem to slip away after they're written down. Most of the true stories in this book were written in the last three years, and came as a surprise to me, the author. I'd not planned a memoir, if that's what this is, and never owned a diary or made notes about the passage of the days. "The King of the Forest," a piece of mine about my late father, Ernest Angell, was inspired by a letter I'd received from a woman I didn't know, enclosing a story he'd written for the children's magazine Saint Nicholas, in 1903, when he was thirteen, which tells a family tragedy in a fresh way. My own piece was well received when it ran in The New Yorker but got mixed reviews from others in the family, who shook their heads and told me that I'd pretty much blown my portrait of Father. "He was never like that," they said. "Not with me." Our stories about our own lives are a form of fiction, I began to see, and become more insistent as we grow older, even as we try to make them come out in some other way. There is a bit of melodrama attached to a golf game I once played in Maine, back in 1940 -- a turn of events so strange that I tucked it away as something I might write one day. But I never could get it right, couldn't find a form or a tone for it. I even tried to write it as a short story but quickly gave that up as well. I saved one paragraph, a description of little harborside course and how it looked to us teenagers back then, as a memorandum or preservative, and that found its way intact into the chapter "Getting There," when it sprang to life in my head a year ago and got written in three days. These old stories we tell ourselves in the middle of the night require no more than a whisper or a street noise to get them whirring again in a fresh production. William Maxwell, in his autobiographical novel So Long, See You Tomorrow, recalls himself as small boy with an earache, back at home in Lincoln, Illinois, and his father, bending close, blowing cigar smoke into his ear to make him feel better. My story about my father begins with the perfectly remembered sound of his pen on paper while he writes letters in the evening, in our library on 93rd Street, in New York, while the ten- or eleven-year-old me awaits the larger swoop of his signature on the last page of the evening, after which he'll pick up "Oliver Twist" -- "Now where were we?" --and continue our reading aloud. Life is tough and brimming with loss, and the most we can do about it is to glimpse ourselves clear now and then, and find out what we feel about familiar scenes and recurring faces this time around. What is startling about memory is its willful persistence and its obsession with detail. "Hold on," it says. "Don't lose this." The other day I unexpectedly found myself seeing the shape of the knobs at the top of the low iron posts that stand along the paths of Central Park -- a magnolia bud or perhaps an acorn -- and then, long before this, the way such posts looked when they were connected by running strands of heavy wire, which were slightly bent into irregularity and almost loose to the touch. Going down a path in those days you could hook the first joints of your forefinger and second finger over the darkly shining wire and feel it slither along under your touch. In winter, you could grab the wire in your gloved or mittened hand and rush along, friction free, and make it bounce or shiver when you reached the next post and had to let go. But what's the point of this, I wonder: what's my mind doing back there? A week or so before my father died, in his eighties, he told me he'd been thinking about a little red shirt that he'd worn when he was four or five years old. "Isn't that strange?" he said. 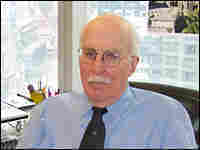 My stepfather, E.B. White, is in this book as well, and so are my first wife and some car trips and tennis games and, again and again, my mother, but these chapters don't add up to biography. Nor do they evoke a better time. To keep things moving, I have interspersed short entertainments about drinking or sailing or the movies -- parts of my life, as well, but in here mostly for the fun of it. One chapter, "Early Innings," may be familiar to some readers, but I've revived it because it evokes a different era in sports and continues or fills out what I've written about my father. Another section, "At the Comic Weekly," brings up friends and colleagues of mine at The New Yorker, as they once were. I don't yearn for the past -- I doubt that I could have written much of this if I did -- and my present-day family and friends and the people I see at work don't need to be put down on paper for me to notice and enjoy them. The title of this book, I should add, isn't about wrapping up a life or a time of life but should only evoke a garrulous gent at the end of the table holding up one hand while he tries to remember the great last line of his monologue. From Let Me Finish by Roger Angell. Used with permission from Harcourt, copyright 2006.